"Her vulnerable voice is charming and relatable." "Required reading ... the book is a master class in how to think and why. Jenkins uses her readable book to advocate for thinking both critically and in great depth as a form of self-protection and self-advocacy." Based on the work of the Metaphysics of Love Project, this book unpicks the conceptual, ideological, and metaphysical tangles that get in the way of understanding what love is. 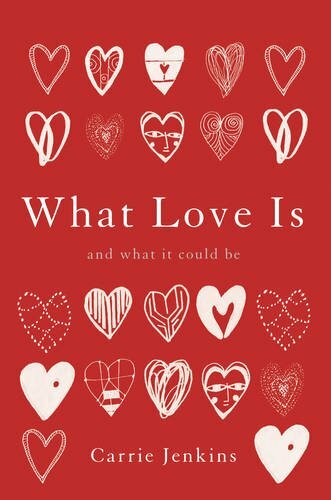 What Love Is And What It Could Be explores different disciplinary perspectives on love, in search of the bigger picture. It presents a "dual-nature" theory: romantic love is simultaneously both a biological phenomenon and a social construct. The deep motivation behind this work is that we have a collective responsibility to figure out romantic love. It is a formidable and potentially dangerous force, its power underwritten by its twin footholds in our biological natures and in our most treasured social practices. Often we pretend that it is incomprehensible and out of control, but this is a way of abdicating our responsibility to understand love and fix it when it's broken. What Love Is And What It Could Be explains that romantic love is currently broken in multiple interlocking ways, but also that we can change this status quo. Once we understand what love is, we will be able to take control of what it could be.